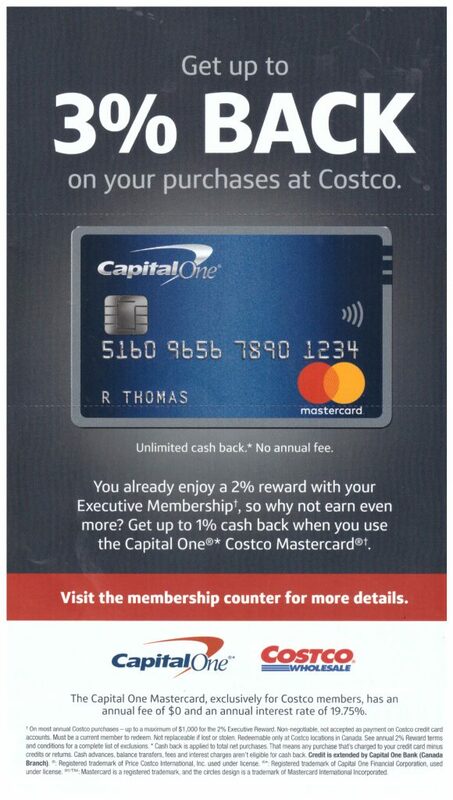 New Costco Executive Member Bonus Coupons! 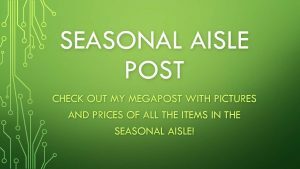 A week or two ago, I posted a deal where you could receive a $25 or $50 Costco.ca voucher, if you purchase the ‘Gift of Membership’. 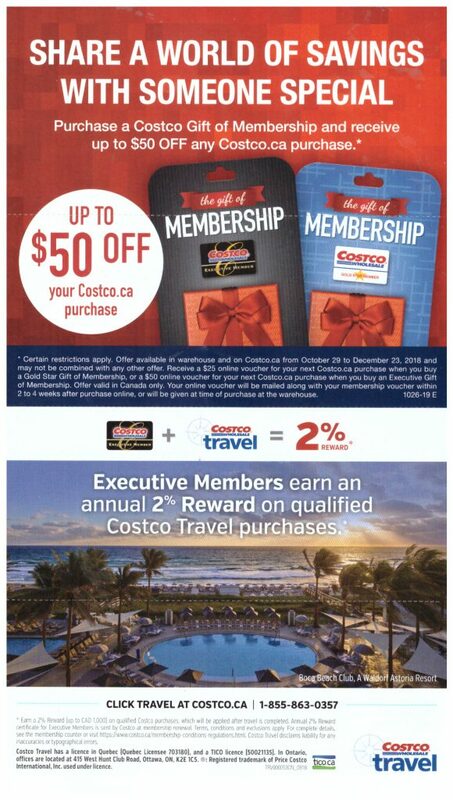 You can read more about the deal here: https://cocowest.ca/2018/11/25-or-50-off-costco-ca-costco-membership-offer-new-or-renewals/ Even though the promotion states that the voucher cannot be used to renew a membership, the actual card states that it can be used to renew a membership. The staff may even tell you that you are not able to use these vouchers to renew; however, I have not received any reports anyone who was turned down from renewing their membership with the voucher. 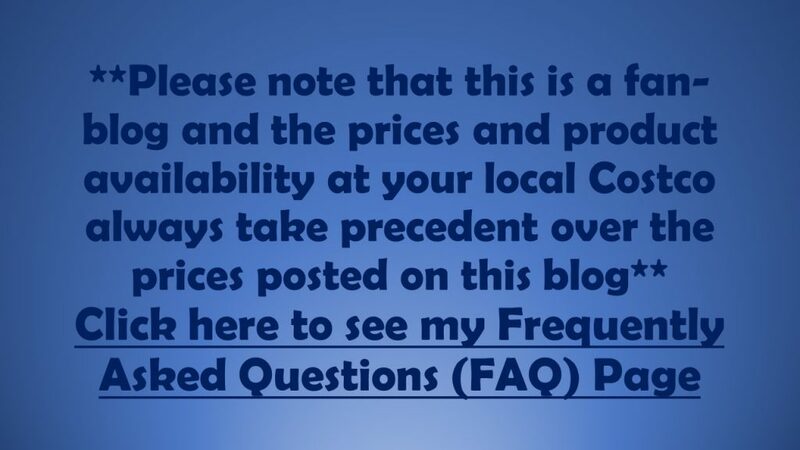 It is not very often when the fine print works out for the consumer so you might as well take advantage of this. Also, good on Costco for allowing this :). 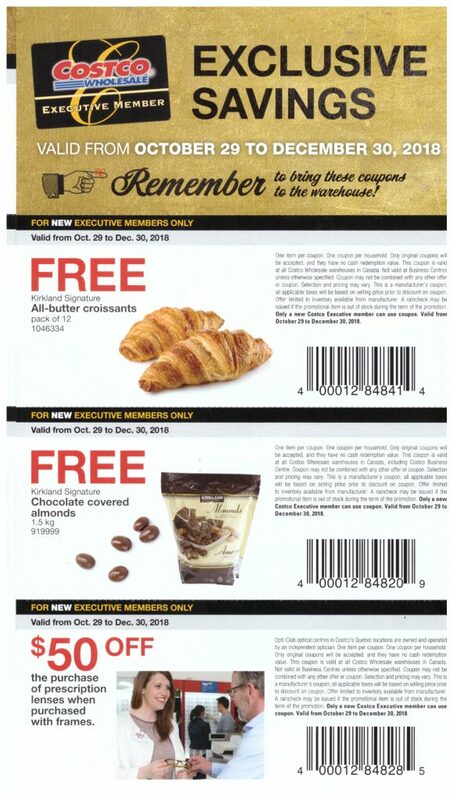 You are provided this coupon booklet by the membership desk with your new Costco card. For these coupons, you will be required to cut out the actual coupons to redeem them. Copies will not be accepted – so don’t lose this booklet. 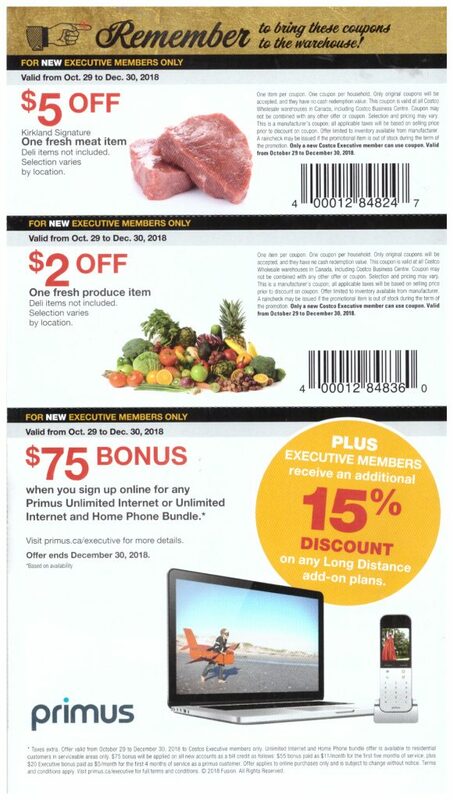 I purchased an Executive membership for a family member when the promotion first came out and when they went in to the store to sign up, they received a little coupon booklet with some extra coupons that are very useful! 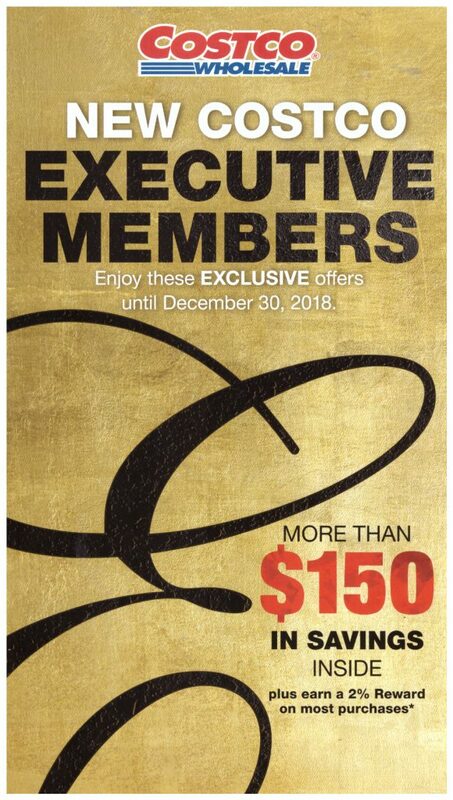 I should note that my family member was upgrading from a Gold Membership to an Executive Membership and they still received this coupon booklet. These coupons are valid until December 30, 2018. I’ve been an executive member since August 2018 and upon renewal in early November 2018, I was told I was ineligible for the coupon book. One of the reasons we upgraded was the coupon books which the in-store employees were very good at “sellin”. I’m not impressed. They (call center customer service ) said I’d qualify after the current book expires. I tried to renew my membership with voucher and the staff member insisted I couldn’t. He wouldn’t let me, so I gave up and thought I’d try again another time. What do I need to do to convince them? 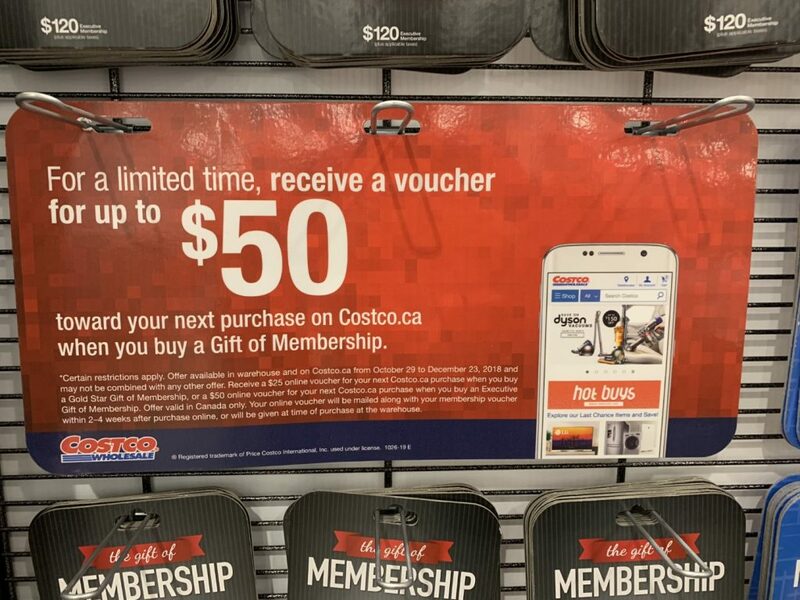 The Costco.ca $50 voucher can only be used on Costco.ca – it can’t be used towards the membership. I have an executive membership and I have NEVER gotten the executive coupons, what am I missing here? Anyone else experienced the same? My membership expires in June next year. Do you know if I can hold onto the membership gift and use it next year? Costco has my old address and I cannot find a website to change it. Anybody have a link? I never got any coupons when we upgraded to Executive years ago and have never received the mailings. Our Customer Service Desk is ALWAYS a gong show! Maybe will try out by the airport. At my Costco, it is the returns line that is always long. The membership, where you update your address, usually does not have that much of a wait. 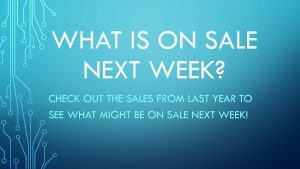 Do you know if the coupons can be used by other members? Could you give them to a friend who is a member who wants to buy glasses for example? 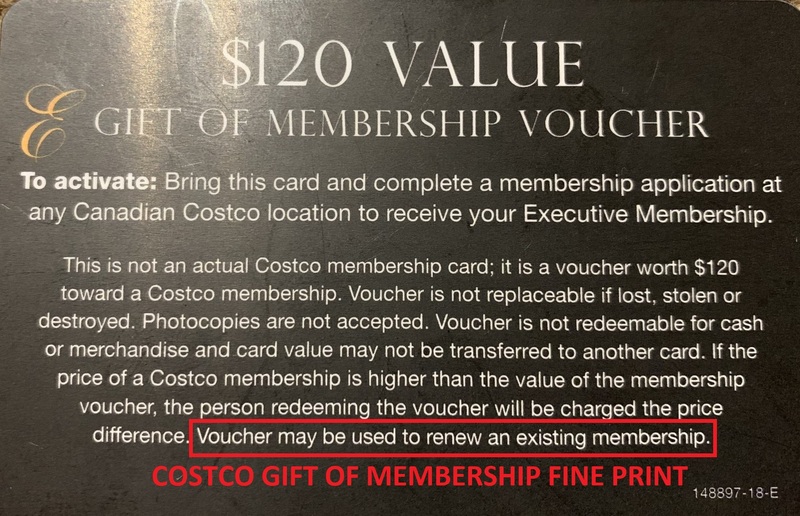 Hi L, The fine print says the coupons can only be used by new Costco members. I don’t know how they would check. This is great! I hope our coupon booklet comes in the mail soon! Wait… I re-read your post… is this coupon book only for new Executive members, not the one that comes routinely in the mail to existing Executive members? Unfortunately, this coupon book is only for new Executive Members. I included it due to the ongoing ‘Gift of Membership’ deal. It makes getting a new membership or upgrading to Executive a much better deal. This is definitely your mileage may vary. As such it shouldn’t be promoted or advertised in my opinion. I have been an executive member since 1988. I asked about the $120 gift deal and customer service said I can use it to renew membership but I cannot use the $50 gift as part of renewing my membership for deduction. Customer service the $50 gift can only be used if I buy something on-line. What’s up with that! 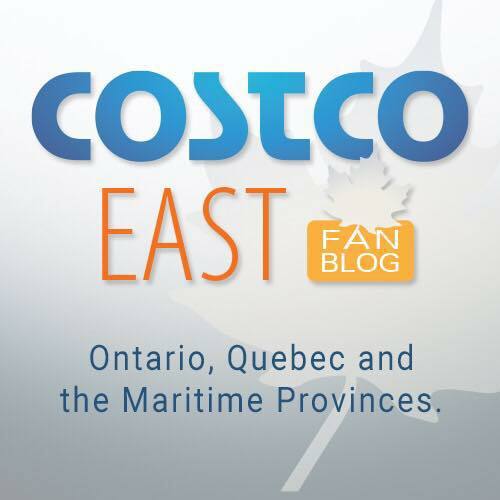 Isn’t the warehouse in Richmond, BC the same as Costco.ca ?? I use. 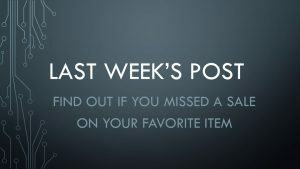 your Costco West blog all the time to look up weekly deals. & my renewal date is October which gets automatically deducted by Costco every year. 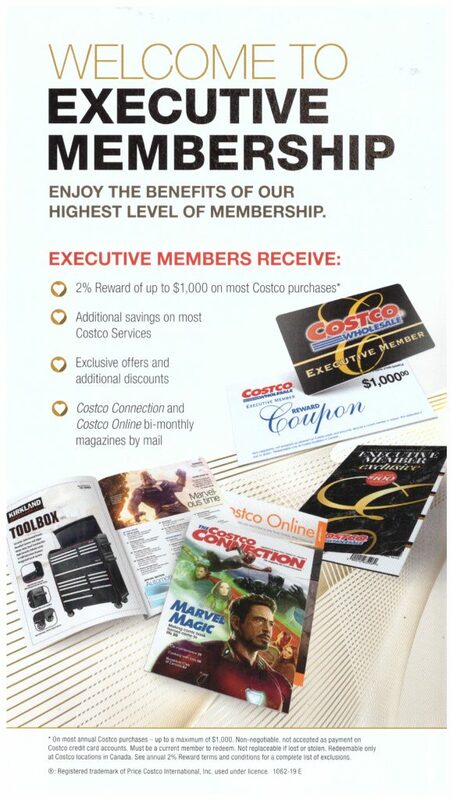 I’m sorry if I gave the impression that you can use the $50 Costco.ca voucher towards the cost of your membership. 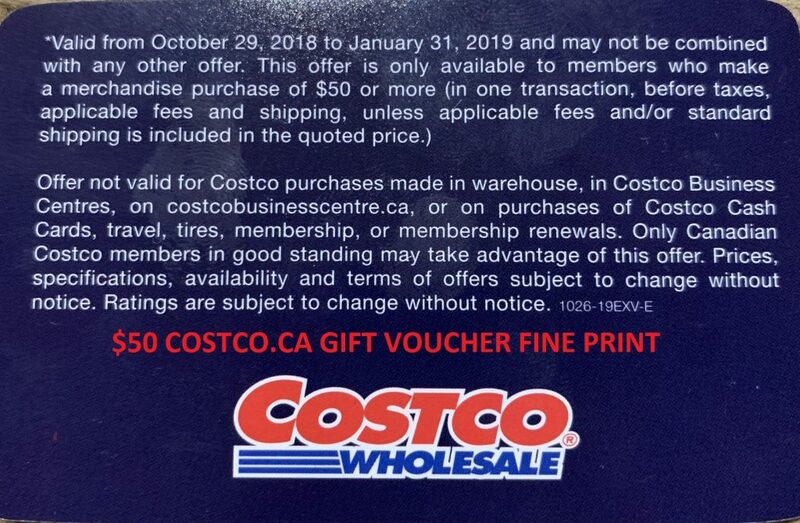 Unfortunately, the voucher can only be used at Costco.ca. 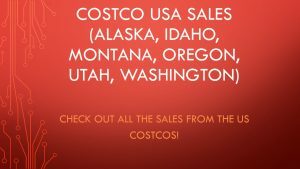 There is a much larger selection of items on the Costco.ca that can be purchased online than in the warehouse, and hopefully you can find something that you can use. You can always default to buying more batteries!